Every election season, some Washingtonians head for the campaign trail while their significant others remain in the city. Author Aimee Agresti has a name for this niche population left behind: campaign widows. That’s also the name of her new novel, out on May 22, that explores how couples, in different phases of their relationships, cope with election season. Agresti, 41, has been a campaign widow three times when her husband, who spent much of his career in Senate communications, worked on congressional races. “This book is about unlikely friendships and I feel like that’s something you can find here a lot — people just sort of thrown together,” she said. Agresti initially didn’t know there were others like her. While the release of “Campaign Widows” is timely given the upcoming midterms, Agresti called it an “escapist book” that non-politicos would enjoy. Agresti said there’s a bit of herself in all five campaign widows featured in the novel. The story unfolds over the course of a presidential campaign. Cady has just moved to D.C. before her fiancé leaves to work for a candidate on the trail. She meets other campaign widows while working on a local TV news show. There’s Birdie, a Georgetown socialite; Reagan, a young mother and former speechwriter; and Jay, a website editor. All have partners away campaigning, as does Madison, whose husband is running for president. How each household copes with the instability of election season makes for interesting drama as the campaign widows all find their relationships becoming increasingly difficult. Agresti first got the idea for the novel when her husband worked on former Sen. Mary L. Landrieu’s 2002 re-election campaign in Louisiana. “I kind of channeled all of the crazy fears into the book and tried to create characters that were all at crossroads in their relationships and show how the campaign could really shake it up even more,” she said. Agresti lives in the D.C. area with her two young children and husband, who currently works for Sen. Benjamin L. Cardin as communications director on the Small Business Committee. The novel is interspersed with tidbits about her life as a local, including references to her favorite restaurants and neighborhoods. 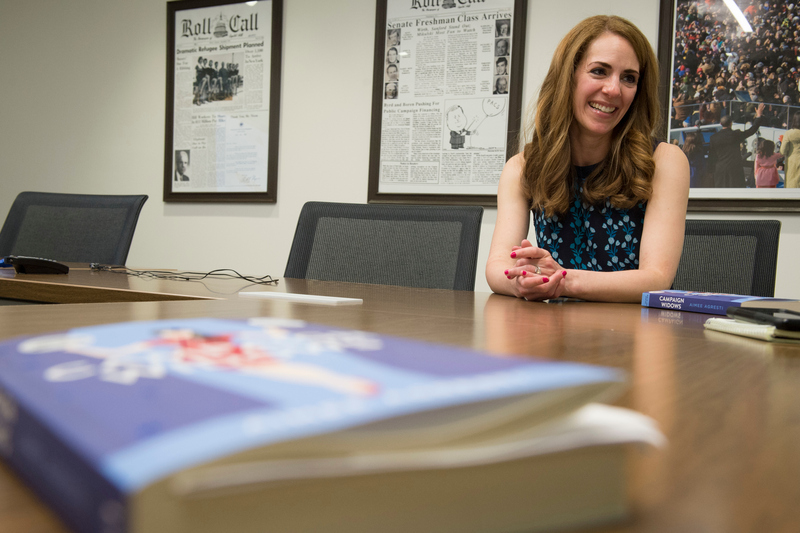 “I love D.C., so I feel like the book is kind of a love letter to D.C.,” she said. Join Agresti for a release event for “Campaign Widows” on May 21 at 7 p.m. at 600 H St. NE.